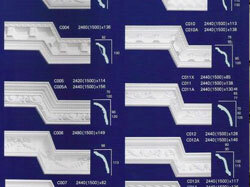 We are leading manufacture, supplier and exporter of Gypsum Decorative Ornaments. It is partitions are widely used in industrial as well as commercial establishments. Moreover, our partitions help in reducing the cubical content of the room.